Posted: Friday, December 5, 2014 7:57 pm | Updated: 8:02 pm, Fri Dec 5, 2014. 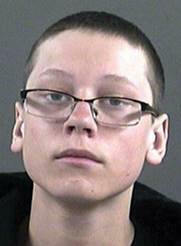 Vernon RCMP say Dalton James Prasloski-Spencer, 15, has been missing from his home for several weeks. His family has received word through social media that he is OK, but he would not tell them exactly where he is staying. Police say Dalton has a history of living a high-risk lifestyle, so they and his family are concerned about his well-being. He is known to travel between the Okanagan and Saskatchewan. It is with great Sadness that Daniel's Family has reported him deceased. Our Sincere Prayers and Condolences are with all of You. 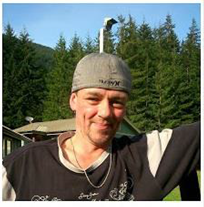 Comox Valley, BC – On December 2nd the Comox Valley RCMP received a report of a missing man. The man, Christopher SEARGENT, was last seen at a residence on the 2000 block of Arden road in Courtenay. 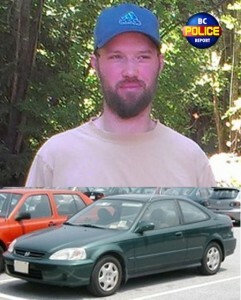 When he left the residence he was driving a 1996 Green 2 door Honda Civic with BC plate 817NTL. The man, Christopher SEARGENT, was last seen at a residence on the 2000 block of Arden road in Courtenay. 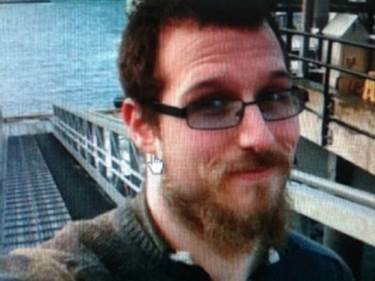 He is described as: 6 foot 3 inches tall, Approximately 175 lbs, Scruffy beard and is balding, Usually wears a baseball cap, Christopher may be wearing a jacket that is Tan or Brown in color, mid-thigh length and has fur around the hood. Christopher’s family is concerned for his wellbeing, and are asking the public to call their nearest police station if they see Christopher or his vehicle. It has been over a decade since George DAVIS went missing but the police continue to search for answers in his disappearance. On July 29, 2004 at 1:30 pm, the Creston RCMP received a report of a missing person from a residence on the 1300 block of Channel Road. George Franklin DAVIS, who was 40-years-old at the time, apparently went to get some cigarettes driving a brown 1981 Chrysler Lebaron bearing BC plate 191BHR. DAVIS never returned and has not been seen since. The vehicle has also never been located. DAVIS suffered from a medical condition similar to epilepsy and required medication that he did not take with him that day. Without his prescription, DAVIS could experience seizures and blackouts. Investigators are seeking public assistance in locating DAVIS as well as bringing long-sought answers to his family. Anyone with any information regarding the whereabouts of George Franklin DAVIS is asked to call their local police or remain anonymous by calling Crime Stoppers at 1-800-222-TIPS (8477). Prince George, B.C. – Prince George Search and Rescue has decided to suspend the search for missing 49 year old Prince George resident Anita Thorne. Search crews, along with Thorne’s family and friends, had been scouring the Willow River area for the past four days after her car was located at a rest stop in the area earlier this week. Over 100 people joined in the search which included assistance from the RCMP’s K9 unit, a helicopter and a plane. Search manager Dale Bull says the RCMP’s investigation will still continue however and notes PGSAR will not hesitate to assist if asked. He says anyone with clues should call the RCMP at 250-561-3300. Prince George, B.C.- Prince George Search and Rescue has returned to the Willow River rest area, east of Prince George, to search for a Prince George woman. 49 year old Anita Thorne was reported missing yesterday. Her vehicle was found at the Willow River rest stop. Search and Rescue and the RCMP Police Dog Service were on scene yesterday attempting to locate the woman. Search and Rescue says there have been 25 searchers involved in the effort so far, including a helicopter search yesterday afternoon. Today, Search and rescue crews have continued searching roads and trails in the area by foot, truck and ATV. Technical crews are being mobilized to search areas that would otherwise be too dangerous to access. Police say at this point, there is nothing to indicate Ms. Thorne has fallen victim to foul play. The Prince George RCMP are requesting assistance from the public in locating a missing local woman who has not been seen since Wednesday morning. On Wednesday November 19th, 2014 at 8:15 PM, the Prince George RCMP received a report that Anita Florence THORNE, a 49 year old Prince George resident, has not been seen by family or friends since she left home on Wednesday morning. On Thursday November 20th, a member of the Prince George RCMP’s General Duty Section located a vehicle associated to Anita at the Willow River rest area next to Highway 16, approximately 35 kilometres east of the City. A Police Service Dog and handler were called in and conducted a search of the area by ground while an RCMP plane conducted a search of the area by air. Both searches were negative. The Prince George Search & Rescue Society were called out through the Provincial Emergency Program. PG SAR began searching the area around the rest stop by ground and air on the afternoon of Thursday November 20th. The search was postponed at dark. Prince George RCMP and PG SAR continued the search early this morning and currently remain on scene. At this point in the investigation, police have no reason to believe foul play is involved. Investigators are asking for the public’s help in locating Anita Florence THORNE. If you have any information about Anita Florence THORNE or where she might be, please contact the Prince George RCMP at (250)561-3300. Caitlin Murray’s family are pleading for public help more than a year after their 21-year-old daughter disappeared in Quesnel. QUESNEL — The mystery of what happened to a 21-year-old woman continues to haunt her family more than a year after she disappeared. Caitlin Murray was last seen at about 12:45 a.m. on Sept. 30, 2013, on video surveillance as she parked her car near the Fraser Bridge Hotel in Quesnel. Mounties searched the immediate area, including a foot bridge, the Fraser River and surrounding parks. Search-and-rescue crews and an RCMP plane were also used, but there was no sign of Murray. Her parents, Chris and Carmen Carr, are pleading for answers to their daughter’s whereabouts. Insomnia and anxiety plague Carmen Carr’s life and her husband finds himself pulling U-turns at the sight of a young blond girl who may resemble his daughter. Their younger son is only now grasping the void in his family, thinking of his big sister every time it rains because the siblings liked walking in the rain together. Carmen and Chris Murray have even called on psychics for answers and continue searching along the Fraser River. Their daughter had recently graduated from a care-aide program, her dreams of becoming a nurse that much closer. RCMP are treating the matter as a missing person case, but say no foul play is suspected. Murray is described as five feet tall, 120 pounds, with a slim build, blond hair and blue eyes. She was last seen wearing black yoga pants, a blue T-shirt and a hoodie. RCMP are asking anyone with information to call them. If you have any information contact the Terrace RCMP at (250)638-7400 or anonymously through Crime Stoppers by telephone at 1-800-222-TIPS, online atExternal link, opens in a new windowwww.terracecrimestoppers.ca or by texting TERRACE plus your message to 274637 (CRIMES). YELLOWKNIFE - RCMP suspect a missing Japanese tourist - Atsumi Yoshikubo - may be trekking in the wilderness north of Yellowknife. 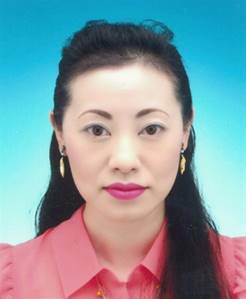 Yellowknife, NT, November 4, 2014 – After an intensive search for missing Japanese tourist Atsumi YOSHIKUBO, Yellowknife RCMP have concluded the search and rescue operations. Atsumi YOSHIKUBO was reported to the Yellowknife RCMP as missing on the 27th October 2014 after she failed to check out of her hotel. RCMP immediately began an investigation and within hours intensive search and rescue operations were underway. A thorough Police investigation has determined that YOSHIKUBO is now considered to be a missing person, presumed dead. There is no evidence of foul play. The investigation is now a Coroner's Act investigation and the RCMP will assist the Office of the Chief Coroner of the Northwest Territories. RCMP investigation has determined that Atsumi YOSHIKUBO arrived in Yellowknife with a plan to go into the wilderness alone and become a missing person. Investigation also revealed that YOSHIKUBO took steps to avoid being found. The people of Yellowknife were very concerned about Atsumi YOSHIKUBO and generous in their volunteer efforts and their cooperation is greatly appreciated. Although the active search has been concluded the Investigative file will remain open. Police will follow up on all leads with the hopes of eventually locating YOSHIKUBO's remains. The RCMP are asking that wilderness travelers report any information they believe would help in locating Atsumi YOSHIKUBO. The RCMP continues to work with the Japanese consulate on this matter. Atsumi Yoshikubo was last spotted Oct. 22 walking along a highway outside the city. Staff at a Yellowknife hotel reported the 45-year-old missing Monday after she failed to check out of her room the day before. Mounties say they found no evidence of foul play and her room at the Explorer Hotel had been left in a state suggesting she intended to return. Officers and civilian volunteers, with the help of a helicopter and dogs, have so far searched remote tourist attractions along the highway and other hiking areas. On Friday, RCMP announced they were expanding the search area to the north. "The investigation to date supports that she may be travelling in the wilderness," said Const. Elenore Sturko. She said she couldn't reveal why officers believe Yoshikubo is travelling through the bush, but added that Mounties hope to find her alive. "We hope to be able to locate Atsumi and that she is safe and in good health." Temperatures in recent days have hovered around 0 C and there's been snow. Police are planning to search the wilderness with an airplane equipped with infrared technology that can detect body heat, Sturko said. Yoshikubo is described as five-foot-two with long black hair and brown eyes. She weighs about 100 pounds. She had been wearing a pink coat, pink hat, black pants and white shoes. 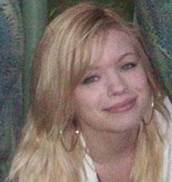 Police continue to investigate the disappearance of 27 year old Julia STROBACH who was last seen in Courtenay, BC, on October 31st 2013. Investigators have confirmed the last sighting of Julia was in the 1000 block of Braidwood Road, Courtenay, in the early evening hours. Police are gravely concerned for Julia's well being as she has been out of contact with family and friends for a year now. It is out of character for Julia to be out of contact for so long, especially with her 3 year old son who lives with relatives. Officers with the Comox Valley RCMP General Investigation Section have spoken to a number of people in their efforts to gain information about Julia, and answer the many questions surrounding her disappearance. Investigators believe that there are additional friends and associates with information about Julia's movements in the time leading up to her disappearance, who have yet to speak with police. In their continuing efforts, investigators are focused on tracking these people down, and are appealing directly to them for assistance in providing answers for Julia's family. There is information to suggest some of these potential witnesses now reside in the Central Interior and Okanagan areas of British Columbia. RCMP investigators in the these regions are assisting local officers in locating several people who may be of assistance. Julia's family, friends, and particularly her three year old son, deserve answers about what has happened to Julia, states Tim Walton, Officer in Charge of the Comox Valley RCMP. Despite the best efforts of our investigators over the last year, we have been unable to bring them solid information. We are appealing to anyone with information about Julia's movements and activities in the days and weeks leading up to October 31st, 2013, to get in touch with us immediately. Langley RCMP is seeking the assistance of the public to locate a man missing since the 29th oSeptember. 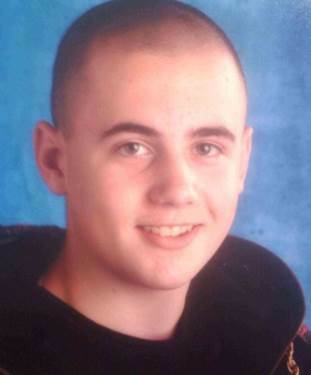 Derek BERGDAL was last seen at a rehabilitation center in South Langley at midnight September 29th. He made his bed, packed his belongings and left the center. He had been staying at the center for nearly two months and was days away from graduating. Derek has been known to leave the Center in the past and is known to frequent Hastings Street in Vancouver. Derek BERGDAL is 29 years old, Caucasian, 6’1, 196 lbs with brown hair and blue eyes. If anyone has information that might assist police to locate BERGDAL, they are asked to please call Langley RCMP at 604-532-3200. 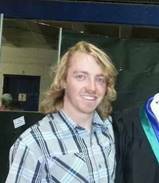 On Tuesday, July 22, 2014 the Abbotsford Police Department was contacted regarding 28 year old Tyson Douglas COWIE who was reported missing from his Abbotsford residence. COWIE had advised family that he was going on a camping trip in the Vancouver area on July 12. It was expected that he would be gone for several days. Tyson has gone on extending camping trips in the past, including out of province and out of country, and has always returned. However, the length of this absence and lack of contact with friends and family have greatly increased the level of concern. The Abbotsford Police Department has been working closely with the family, and today it was mutually agreed that the investigation would include a public appeal. Tyson COWIE is 6’0” and weighs 180 pounds. He has brown eyes and long brown hair. (See photo) Tyson almost always wears the toque featured in the photo. Abbotsford parents Bob Allan and Jean King want their daughter Rosalie to know that they love her and they want her to call. Rosalie (Rose) Jean Allan, 46, was last seen in October in Abbotsford. She was reported missing on Dec. 31, 2013. "This investigation has troubled us from the standpoint that we haven't received a lot of information," said Abbotsford police department spokesperson Cst. Ian MacDonald at a press conference on Wednesday. Rosalie's father, Bob, said that his daughter was in good spirits when she went missing. He used to speak with her every few months. The Abbotsford Police Department (APD) is appealing for information in the disappearance of a local couple. 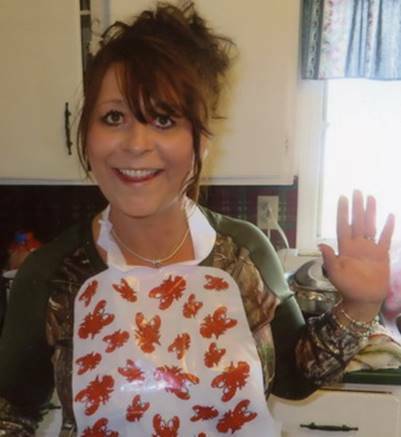 Rosalie (Rose) Jean Allan, 48, was reported missing two years ago today – on Tuesday, Dec. 31, 2013. Her boyfriend Jonathan Jay Jeffrey Wood, 47, also went missing at around the same time. 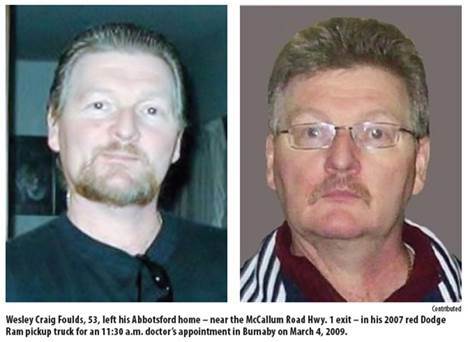 At the time of her disappearance, police said Allan had no fixed address but usually made regular contact with several people in Abbotsford and had previously lived at a residence in the community. In February 2014, her parents, Bob Allan and Jean King, held a press conference in which they appealed for her to contact them. 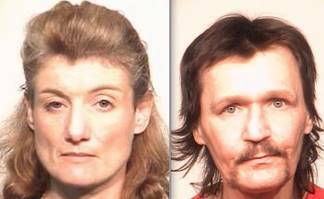 Police at the time indicated that Allan and Wood had been living together in Abbotsford in October 2013. Their landlord noticed that Allan had moved out first, followed by Jonathan a few days later. Police said the couple moved around a lot. Wood is wanted on a warrant for a breach of his 90-day conditional sentence. He had been given that sentence in November 2013 on a charge of theft under $5,000, according to the provincial court database. Wood had also been charged in August 2011 after police seized a sawed-off shotgun, a rifle, ammunition and methamphetamine from a home in the 34000 block of Gladys Avenue. That residence had been the scene of a bust the previous month in which 12 weapons were found. Wood was also arrested in connection with that incident but charges were never laid. Allan stands 5’ 4”, weighs 130 pounds and has blue eyes and brown hair. Wood stands 6’ 2”, weighs 180 pounds and has blue eyes and brown hair. Anyone with information is asked to call the APD at 604-859-5225 or text abbypd (22973). "We want to get in touch with our daughter and want to see if she wants to get in touch with us. We love her and want her to know that we love her. Please, Rosalie, if you're out there, give us a call," he said. Rosalie stands 5’4” tall and weighs 130 pounds. She has brown hair and blue eyes. She is a vibrant person who makes friends easily, according to MacDonald. She would be recognizable to many people in the community. Police are also looking for Rosalie's on-again-off-again boyfriend Jonathan Wood, 45. The two were living together in North Abbotsford in October. Their landlord noticed that Rosalie moved out first, and Jonathan moved out days later, according to MacDonald. The couple moved around a lot, with MacDonald describing them as people who had had challenges in life. Wood has an outstanding theft warrant, but MacDonald said it was "not a serious matter." "We want information on Jonathan and Rosalie. We want to make sure they are fine. Obviously we can deal with the warrant after," said MacDonald. The Burnaby RCMP are looking for help locating a 16 year-old who has been missing from her South Burnaby home since July 28 Taylor Racine is 5'1" tall and weighs 110 pounds. She has long brown hair and brown eyes. She was last seen at 2 p.m. on July 28, wearing a brown hoodie, blue shorts and carrying a brown Coach purse. 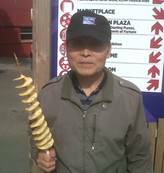 The Burnaby RCMP are seeking the public's help with locating Richard LIN, who is missing from his home in Burnaby. LIN's family and police are concerned for his well-being. LIN was last seen on September 6th at 9:00 am and there are indications that he may be heading to the Squamish area. LIN is a 19 year old Asian male, 5'9" tall, with a thin build, short black hair and brown eyes. 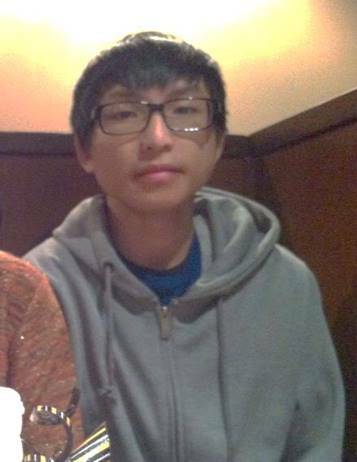 LIN wears eye glasses and was last seen wearing a black t-shirt, grey hooded sweatshirt, blue, red and white coloured checkered shorts and a black backpack. LIN does not have a vehicle and may be using public transit or hitchhiking. If you have any information that may assist with locating LIN, please contact the Burnaby RCMP at 604-294-7922. No Longer Listed on VicPD Website - Possibly Found ?? Victoria BC – VicPD officers are requesting the public’s assistance in locating Kenneth Crocker, a missing 48-year-old Esquimalt man. Officers have been working with the friends and family after they reported not having seen him in a week. Both family and friends are concerned for his well-being as Crocker requires medication to assist him with his mental health. Crocker had stated he was moving into the bush, but attempts to locate him have not been successful. Crocker is described as a Caucasian man, 5-foot-11 with a fair complexion. He is described as almost bald with hazel eyes and weighing approximately 200 Lbs. He typically wears a hat, black shirt and black track pants or jeans. If you have any information as to the whereabouts of Kenneth Crocker, please call VicPD on the non-emergency line at 250-995-7654. Surrey RCMP is requesting the public’s assistance in locating a missing male. Harvinder SINGH was reported missing on April 8th and was last seen in the area of 12800 block of 85th Avenue. He has not been seen or heard from since. Family is concerned about his current well-being as it is out of character for him to be out of touch for this long. He is known to frequent Sikh temples in Surrey and is known to visit Vancouver and Maple Ridge/Pitt Meadows. SINGH is described as a 33 year old South Asian male, 5’11, 216 lbs, with short black balding hair, beard and moustache, and brown eyes. (Please see photo attached). It is unknown what he was last wearing at the time of his disappearance. If you know the whereabouts of this person please contact the Surrey RCMP Missing Persons Unit at 604-599-0502, or Crime Stoppers, at 1-800-222-8477 quoting file number 2014-47635. Missing Ottawa Justin Rutter in BC? Police in Ottawa will be teaming up with the Vancouver Police Department to investigate a tip that a teenage boy who disappeared from the capital city five years ago today may be on the West Coast. 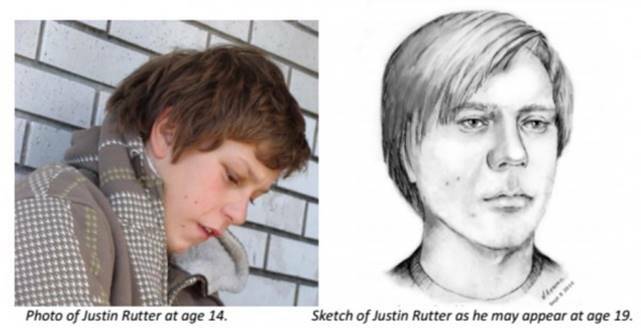 Each department held a news conference, saying Justin Rutter was 14 when he was last seen by his family in Ottawa on Oct. 8, 2009. They released an artist's drawing of what Rutter would look like now, at age 19. Supt. Don Sweet of the Ottawa Police Service says the teen had a slim build, with short light brown hair and brown eyes when he went missing in 2009. Sweet says someone knows where the boy is or what happened to him and police need the public's help to solve the mystery. Ottawa Police are offering a reward of $5,000 for information confirming Rutter's whereabouts or leading to the arrest and prosecution of whoever is responsible for his disappearance. On September 1, 2014 around 3:15 PM, Lytton RCMP was notified that 87 year old Gordon DAVIS was missing from his residence on Botanie Lake Road in Lytton. Neighbours reported seeing DAVIS riding his ATV on August 30th. When they hadn’t seen him return, the checked his residence on August 31st, but he was not there which was very unusual. Neighbours checked again on September 1. Still not locating him, they reported him missing. Officers attended the DAVIS residence and found his personal belongings were still there. DAVIS' ATV was located on September 2, 2014 within 10 kms of his residence but he is still missing. The Lytton RCMP have been assisted in the continual search for Davis, assisted by the Nicola Valley Search & Rescue, RCMP Air Services, Kamloops Police Dog Services and local area residents. It is believed that Mr. DAVIS may be suffering from Alzheimer’s Disease. He is a Caucasian man, 5'4" tall, approximately 110lbs, and possibly wearing a grey flannel sweater, dark coloured pants, white shoes, and often rides his ATV wearing a white coloured hard hat. The Port Moody Police are seeking the public's assistance in locating a missing person. Meysam MOKRI was last seen leaving his residence at 9pm on September 1, 2014. Meysam told his family he was "going out" and hasn't been heard from since. Meysam does not have access to a vehicle nor does he have many friends in the Lower Mainland. It is highly unusual that Meysam would not come home or contact his family for this length of time. Meysam is a 32 year old Middle Eastern male, 5'9" tall and weighs 150lbs with short black hair. A recent photo of Meysam is attached in this email. Anyone with information regarding Meysam's location is asked to contact the Port Moody Police immediately at 604-461-3456. Shin Ik Noh, 64, was last seen by his wife at 10:30 am September 18th before he left his residence near the Lansdowne Drive and Guildford Way area for his morning walk. When he did not return a few hours later the family called the police. Noh has Alzheimer’s disease, is in good physical shape and can walk long distances. He frequents fast food restaurants and parks. He primarily speaks Korean other than when he asks for his children and grandchild whose names are Rebecca, Sam and Natalee in English. We are doing everything we can to try and locate this man. Coquitlam Search and Rescue have searched the trails and parks in the area, Air 1 has been contacted to conduct an aerial search, we've handed out missing person posters in areas like the bus loops, shopping malls and fast food restaurants, and we checked transit, taxis and hospitals in the area. In addition, we are working with neighbouring police and by-law agencies attempting to locate Mr. Noh, said Corporal Jamie Chung. As the nights are getting colder, Mr. Noh's family is very distraught and pleading for public's help to find him as soon as possible. With short black hair which is graying on the sides. We really love him, he is a kind man. If you see my dad, please call the police, said Rebecca Ong, daughter of Shin Ik Noh. Larue had a childhood marred by physical and sexual abuse. At an early age she was put into foster care and at 13 ran away to live on the streets of Prince George. Turning to drugs to escape the pain, her addiction took her to Vancouver’s Downtown Eastside. She disappeared in November 2002. If you can help solve this case please call police or if you wish to remain anonymous, visit bccrimestopper.com. Police continue to search for a 64-year-old Alberta man whose boat was found unoccupied on Okanagan Lake Tuesday night. On August 26, 2014 at 9:17 pm, the West Kelowna RCMP received a report of a collision between watercrafts on Okanagan Lake. A local couple were operating their boat in the middle of the lake near Kalmoir Regional Park when they impacted an unoccupied Malibu boat. The craft did not have any lights turned on and simply appeared to be adrift. Upon closer examination of the vessel, police located some personal effects of Brian Daryl LAKEVOLD of St. Albert, Alberta along with the ignition keys for the boat indicating that he was possibly missing. Investigators have since confirmed with his family that LAKEVOLD is missing. The search for LAKEVOLD continues and investigators are appealing to the public for their help in establishing a time line of his whereabouts Tuesday afternoon in order to better focus the search. Specifically, police are looking to speak with anyone who may have seen him or his maroon and white Malibu LXI after 2:30 pm on August 26, 2014, up until his boat was found unoccupied that evening. Whitehorse, Yukon Territory (August 26th, 2014) – Edmonton Police Service, Missing Person Unit request assistance. The Edmonton Police Service Missing Person Unit has asked for assistance from RCMP in Yukon, in a case of a missing woman. Shelly Dene was last seen by her family and friends in approximately August of 2013. She was reported missing to Edmonton Police November 2013. 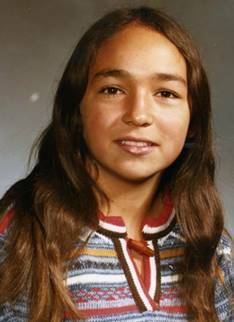 Shelly Dene was a resident of Kelowna, British Columbia for approximately 10 years prior to moving to Edmonton, Alberta. Edmonton Police Services are requesting the public’s assistance with any information concerning Shelly Dene. Shelly is described as a 26 year old, First Nations female, 5 foot 7 inches tall, 111 pounds with brown eyes and brown hair. Unconfirmed information received by Edmonton Police Services is that Shelly may have been traveling with a First Nations male, possibly in a red truck. Should you have any information concerning Shelly Dene please contact Constable Shelley Pinch of the Edmonton Missing Person Unit at 780-421-2011, Edmonton Police Service at 780-423-4567 or Corporal Calista MacLeod, Yukon RCMP at 867-633-8649. Tips and information can also be submitted through the national public website www.canadasmissing.ca. Canada’s Missing website contains information accessible to the public on cases of missing children, missing persons and unidentified remains from across the country for the purpose of seeking tips on these investigations. Tips can also be submitted anonymously to Crime Stoppers at 1-800-222-TIPS(8477). 19 year old Nicholas Hannon was last seen on February 26th, 2014 by his younger brother. On February 27, 2014 his abandoned vehicle was recovered in Langley from the 10400 block of McKinnon Crescent. On this date a missing persons investigation ensued by the Langley RCMP. From the on-set of this investigation there were key factors that raised concerns for investigators and as such the Integrated Homicide Investigation Team was engaged early on to offer assistance and liaise with the Langley investigative team throughout. In mid April 2014 there was enough evidence to support the theory that Nicholas Hannon had met with foul play and the Integrated Homicide Investigation Team assumed conduct of the investigation. Nicholas would have been 20 years old in just a few days and while there are few details that IHIT can speak to in regards to this homicide investigation we can tell you that investigators know that there are individuals in the community that know what happened to him. "Whether it is a change in lifestyle that brings you forward or the guilt of watching this family suffering from the loss of Nicholas, we are urging the individuals that have information to do the right thing and contact Police, " says Staff Sergeant Jennifer Pound. If you have information call the IHIT tipline at 1-877-551-4448, or, if you wish to remain anonymous call Crimstoppers at 1-800-222-8477. Langley RCMP is seeking the public’s assistance to locate Nicholas HANNON, a 19 year old male from Walnut Grove, Langley. Police received the report of his absence in the evening of February 27th when Nicholas’ vehicle was located abandoned at a dead end of McKinnon Cresecent (approximately 10400 block). The car is believed to have been there since at least 7:30 that morning. Nicholas spoke to his father on the 25th of February. He is described as Caucasian, 5’9″, slim build, with very short dark brown hair. North Vancouver RCMP continues their search for a local couple missing for twenty years. On August 11, 1994, Nick and Lisa Masee were supposed to attend a meeting at a downtown restaurant in Vancouver and they never showed up. At the time of their disappearance Mr. Masee had recently retired as an investment banker with a major bank and was involved in stock promotion. Over the last twenty years police have pursued numerous leads but still do not know what happened to the Masee's. Nick Masee has a son and a daughter from a previous marriage both of whom live overseas. This case remains open and is periodically reviewed with all tips actively pursued, said Cpl. Richard De Jong of the North Vancouver RCMP. Someone out there may just have the piece of information that will help solve this mystery. Nick is a Caucasian male, 170 cm (5’7) tall and would be 75 years old today. Lisa is an Asian female, also 170 cm (5’7) tall and would be 59 years old. Attached pictures of Nick and Lisa are pre 1994. Investigators are asking that anyone with knowledge surrounding their disappearance to come forward with that information. Anyone with any information can call Cpl. 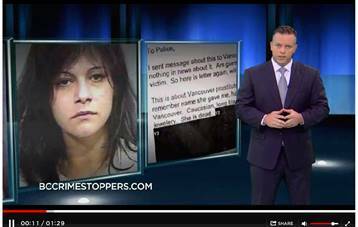 Gord Reid of the North Vancouver Serious Crime Section at 604-985-1311 or they can call Crimestoppers at 1-800-222-8477 (TIPS). The Comox Valley RCMP is asking the public’s assistance in locating a missing Comox Valley man. The man in question is Mr. Charles Mackie and he was last seen on July 14th at his residence in Courtenay. Mr. Mackie is known to have gone away from home in the past but this time there is some concern as he has not taken his prescription medication, which he requires on a daily basis to maintain his health. If you have any information on the whereabouts of Mr. Mackie you are asked to contact the Comox valley RCMP at 250-338-1321. On the afternoon of Sunday July 20th the search for the missing woman hiker, Sylvia APPS was suspended. In spite of extensive searches over seven days involving more than 119 volunteer searchers and twenty Search and Rescue teams, some coming as far away as Kamloops , the missing woman has not been located. The RCMP will be keeping this missing person’s file open and if any one has any information to provide they are asked to contact the Comox Valley RCMP at 250-338-1321. The RCMP, the Comox Valley Search and Rescue and the family of Sylvia APPS would like to extend their thanks to all the people involved in the search and for all the time and efforts they contributed. The Comox Valley RCMP is requesting the public’s assistance in locating a missing Comox Valley woman. The woman, 69 year old Sylvia APPS, started her hike on July 8th at 11:00 AM from the Paradise Meadows area of Mount Washington. Sylvia APPS is an experienced hiker and was equipped with navigation and safety equipment and has made large treks previously. She was to return on July 13th to her starting point but has not shown up to date. If anyone was in the area and may have come across or spoken to Sylvia APPS they are asked to contact the Comox valley RCMP at 250-338-1321. 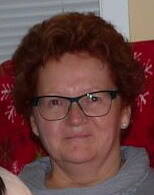 The RCMP continues to seek the public’s assistance in locating longtime missing resident Angela Arseneault. Angela was 17 years-old when she was reported missing from her Burnaby home on August 29, 1994. Since Angela’s disappearance, police have followed up on several leads and continue to do so, however, Angela Arseneault remains missing. 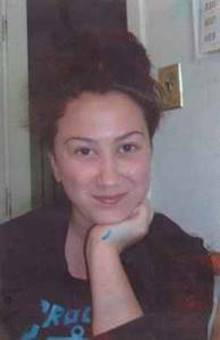 If you have information about Angela Arseneault, please contact the Burnaby RCMP Missing Persons Unit Burnaby_DVU_MPU.Burnaby.EDIV_LMD@rcmp-grc.gc.ca or call Crime Stoppers at 1-800-222-TIPS (8477). Bryan was last seen wearing a black T-shirt, shorts and white Adidas with no laces. Since Bryan’s disappearance, police have followed up on several leads but Bryan Braumberger remains missing. If you have information about Bryan Braumberger, please contact the Burnaby RCMP Missing Persons Unit at Burnaby_DVU_MPU.Burnaby.EDIV_LMD@rcmp-grc.gc.ca or call Crime Stoppers at 1-800-TIPS (8477) or Text: BCTIP with your message to CRIMES (274637). With deep regret the Coquitlam RCMP can now confirm that human remains found in a wooded area near Plateau Boulevard and Sugarpine Court in Coquitlam on July 28th have been identified as those of Nicola Candeloro. Mr. Candeloro was reported missing on July 3rd. Foul play has been ruled out and the police investigation is now concluded. The BC Coroners Service has conduct of Mr. Candeloro’s file. Mr. Candeloro's family and loved ones have requested privacy to grieve their loss. • He was last seen leaving his residence in Coquitlam and was going for a walk in the Eagle Mountain area and Westwood Plateau. Kimberley RCMP are currently trying to locate Alex Brown after he jumped into the St. Mary’s River on Saturday, July 5 shortly after 7:00 pm. Police were notified by a friend who observed Alex jump into the St Mary’s River approximately 15 km upstream from Marysville near Kimberley. Alex surfaced after jumping in, but then disappeared from sight. Search and Rescue teams began searching the river Saturday night, they continued through Sunday with teams from Kimberley, Cranbrook, Fernie, Sparwood, Columbia Valley and Nelson. Over 35 volunteers have been involved in the search. A helicopter was utilized both Saturday and Sunday, on Monday an aircraft with two spotters flew the river from Koocanusa to St Mary’s Lake. Additional swift water search teams from other areas are being brought in to assist and will resume the river search Monday afternoon. Alex is 5’5’’, 130 pounds with shoulder length blonde hair and moustache. He was wearing brown shorts at the time. If anybody has further information please contact the Kimberley RCMP. The family asks the media to respect their privacy during this difficult time. The RCMP is requesting the public’s assistance in locating missing homestay visitor Ze Yu (Dave) Qu, was reported missing on August 9, 2009. He was in Canada for a three week English language course at Sprott Community College in Vancouver. Dave Qu was supposed to return to China on August 15, 2009. He had left his homestay family a note that he would not be returning home for a couple of days. He was described as a happy and involved student just prior to him missing. He was familiar with local transit. He also left behind personal belongings as well as his Chinese passport. Dave had no known medical conditions or issues with drugs or alcohol. Police continue to look for the assistance of the public as it is not known why Dave Qu went missing. The Fort St. John RCMP is seeking the public’s assistance in locating Pamela NAPOLEON. Pamela was last seen on July 8, 2014 at the Blueberry River First Nations, north of Ft. St. John and her family has not heard from her since then. They also advised that this is very out of character for Pamela not to be in contact with them for this long. 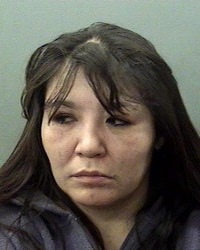 Pamela is a 42 year old Aboriginal woman, 5’6 tall, 170 pounds, long straight black hair and brown eyes. She is known to travel to Vancouver, Abbotsford, Prince George, Grande Prairie, and Pink Mountain to visit with family and friends. If you have seen Pamela or know of her whereabouts please contact the nearest police agency or the RCMP Detachment in Ft St John at 250-787-8100. The RCMP continues to request the public’s assistance in locating missing resident Asim Chaudhry. Asim Chaudhry was last seen on July 20, 2007 by his two brothers. Asim told them he was going to Simon Fraser University to study for an upcoming exam. He was reported missing by his mother on July 21, 2007. Since Asim Chaudhry’s disappearance, police have followed up on leads however, Asim Chaudhry remains missing. If you have information about Asim Chaudhry, please contact the Burnaby RCMP Missing Persons Unit at Burnaby_DVU_MPU.Burnaby.EDIV_LMD@rcmp-grc.gc.ca or call Crime Stoppers at 1-800-TIPS (8477). Police are seeking public assistance in determining the whereabouts of a man last seen in December, 2013. On June 8, 2014 the Kelowna RCMP received a report of a missing person from a campsite near James Lake. Terrance Michael LANDON had been living in a tent trailer on Crown land for several months and was building a small cabin in the woods there. The last known contact with LANDON was on December 26, 2013 and when a friend recently went to check on him, they found his vehicle and trailer there but could not locate him. Central Okanagan Search and Rescue has conducted multiple area searches but LANDON has not been located. Anyone with information on the whereabouts of Terrance LANDON is urged to contact their local police, or Crime Stoppers at 1-800-222-8477 (TIPS). 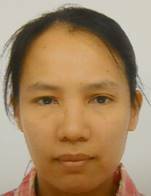 Port Coquitlam – On July 4th, 2014, the Coquitlam RCMP responded to a missing person report for 37 year old Gladys Prudencio Ynzon who was last seen at Port Coquitlam residence on the same day. Investigators have done a number of investigative steps, including neighbourhood enquiries, checking with transit and area hospitals, and a media fan-out in relation to the missing person. However, Ms Ynzon remains missing. We don’t believe Ms. Ynzon has any family in the area. At this point of the investigation, foul play is not suspected. She may not even be aware that she has been reported missing. We are asking for the public to help us locate her so that we know that she is safe, said Corporal Jamie Chung. Gladys Prudencio Ynzon is described as: A 37 year-old Asian woman, 4’11 tall and 132 lbs, Brown eyes, and Black shoulder length hair. She was last seen wearing: White t-shirt, possibly with stripes on it, Khaki shorts, Black shoes, and, Glasses with thick lenses. The Coquitlam RCMP Missing Persons Unit would like the public’s assistance to locate the missing 37 year-old woman. Please contact the Coquitlam RCMP at 604-945-1550 and quote file number 2014-18363 if you have information on her current whereabouts. Dozens of police officers and volunteers spent Saturday searching the area around a southwest home from which a Calgary family disappeared. Sgt. 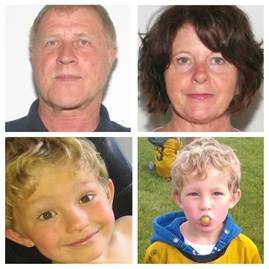 Daniela Seravalli with Calgary police said about 20 uniformed officers plus up to 50 Search and Rescue personnel were searching a 400-metre area around the Parkhill home of Alvin and Kathryn Liknes, who disappeared along with their five-year-old grandson Nathan O'Brien earlier this week. "It's a secondary search, it takes place approximately five-to-seven days after the initial call," said Seravalli. "It's basically to see if we've missed anything, we can see if there's anything we haven't picked up." She said searchers would be looking for both evidence as well as any relevant information from area residents or possible witnesses. Meanwhile, RCMP and Calgary police descended Saturday on a rural property east of Calgary. It was not immediately known if this search was related to the missing-persons case. The Liknes' and Nathan were reported missing Monday morning after the boy's mother, Jen O'Brien, had returned to the Parkhill home on 38A Ave. S.W. to pick him up after a sleepover. She had been there the day before to help out with an estate sale and left about 10 p.m., allowing Nathan to stay and sleep over. When she returned about 10 a.m. Monday, no one was there. An Amber Alert was issued that afternoon. On Wednesday, family of the missing couple and their grandson, including Jen O'Brien and husband Rod, gave an emotional public statement in hopes it would help with the safe return of their loved ones. Police say their investigation has led them to believe the trio did not leave the southwest home voluntarily and that some sort of violent incident took place at the home. Cops on Thursday met with about 75 people who attended the estate sale as they tried to narrow down what was purchased and what could have been stolen. It's believed about 200 people attended the two-day event and police are still hoping to talk to anyone who was there. On Friday, cops announced they're looking for the person who was driving a truck spotted in the area around the time of the family's disappearance. The truck is described as a green Ford 150 from the late '80s or early '90s that appears to have been kept in good condition. Seravalli said tips related to the case continue to pour in. "We're getting tons of tips and every time a tip comes in we're logging it, checking for the validity and following up," she said. 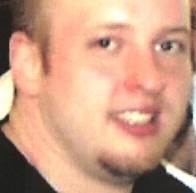 Nathan O'Brien is described as white, three-feet tall with curly blond hair and brown eyes. 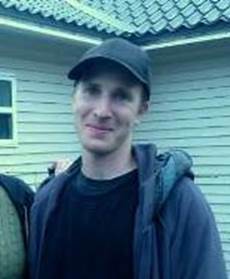 He was last seen wearing peach-coloured shorts and a striped blue hoodie. Alvin Liknes, 66, is white, six feet tall, 200 lbs. with a slim build and grey/blonde hair. Kathryn Liknes, 53, is white, five-foot-three and 120 lbs. with red/brown hair and green eyes. Anyone with information about the case is asked to call police at 403-266-1234 or Crime Stoppers anonymously at 1-800-222-8477. 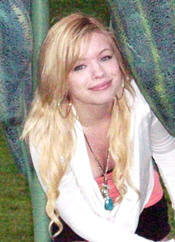 Our daughter, Caitlyn Avril Murray-Carr- disappeared Sept.30-13 @0130 at the footbridge in Quesnel, BC Canada. Caitlyn was at home with her roommate and someone or something upset her so much she got out of bed and went to the bridge abandoning her Car at the Fraser Bride Inn across the street. Caitlyn left her credit cards, bank cards, id, drivers licence at home. Caitlyn has texted two people saying she was thinking of jumping. Caitlyn was at the bridge location for approx. 45min at least. Her last text was she was tired and going home to sleep. Caitlyn's roommate allegedly woke up and noticed Caitlyn wasn't home. This room mate found her car at the Inn @ approx 6:00 am. We, her parents were not notified of her disappearance until 13 hours had passed. To this date Caitlyn still has not been found. Caitlyn had just broken up with an abusive long time boyfriend and she was feeling down. Caitlyn had just graduated a month earlier from CNC as a health care aide and was looking forward to her career. The police are thinking Caitlyn jumped in the river or fell. This came to a complete surprise to us as well as her close friends. Caitlyn has never gone missing before. Please if anyone knows anything or thinks they may have seen or heard from her contact the Quesnel Police @ 250-992-9211 or call Crime Stoppers. Caitlyn is missed dearly by her Parents and two brothers the youngest one just turning 13, Caitlyn missed his Birthday. Please help us bring our Baby Girl Home!!! We are never going to stop looking for her. 21 year old Caitlin MURRAY was last seen on September 30th on video surveillance at approximately 12:45 am, parking her car near the Fraser Bridge Hotel in West Quesnel. Family and friends are worried about her wellbeing and are unable to locate her. Quesnel RCMP have searched the immediate area including the foot bridge, the Fraser River and surrounding parks. The search for Caitlin MURRAY continues with the help of local Search and Rescue and an RCMP fixed wing plane. Caitlin MURRAY is described as Caucasian, five feet tall, 120 pounds, slim build, has Blonde hair and blue eyes. She was last seen wearing black lululemon pants, a blue T shirt and a hoodie. Police are asking for the public’s help to find a missing man who has not been seen since Wednesday, May 7th. 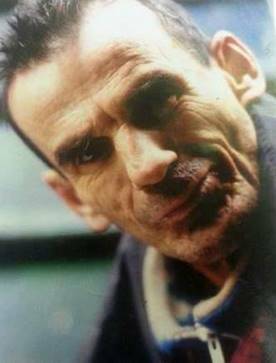 Fifty-four year-old Kenneth Strong was last seen on May 7th in the area of Granville and Davie Street. 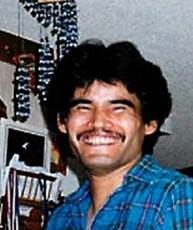 Kenneth is Aboriginal, 5’6″ tall and weighs approximately 130 lbs. He has short, black and grey hair, brown eyes, and has a tattoo of a skull with a headband on his right upper arm. Mr. Strong frequents the Granville Mall area and the area around St. Paul’s Hospital, as well as the Downtown Eastside and the area around Oppenheimer Park. Kenneth is often seen selling recycled property and bottles and cans at various bottle recycling depots. VANCOUVER – The search for a missing Nanaimo writer and photographer has come to a tragic end. 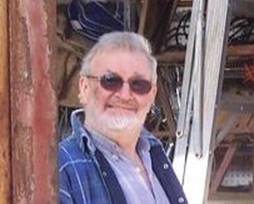 Sixty-two-year-old Roy Ostling has been missing since Thursday, May 29. 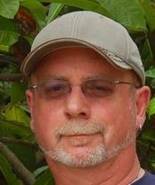 His family posted on Facebook on Friday that Roy’s body was found on June 4 near Crescent Beach in Surrey. As you can imagine, we are in shock and will get back to you with our plans. We want to thank all of Roy’s friends for mobilizing so quickly to spread the word. The media and social attention today heightened everyone’s awareness. We also thank the Nanaimo RCMP for diligent efforts to find Roy. Roy was last seen at his home in Nanaimo. His family said it was very out of character for him to disappear and not tell anyone where he was going. The Nanaimo RCMP is asking for the public’s assistance in locating 62 year Roy OSTLING missing since Thursday May 29th. OSTLING resides in Nanaimo and rents a room in a home on Wallace St. His roommate last saw him as he passed her while leaving their home on Thursday May 29th. That was the last time anyone saw him. He has no drug, alcohol or medical issues. OSTLING has never left for extended period of time without first telling a friend or family member. There is no recent activity on any of his social media accounts and repeated calls to his cell phone have gone unanswered. OSTLING has family and friends throughout BC and elsewhere but there has been no contact with him. OSTLING is a white male who is 5 ft 10, 200 pounds with blue eyes and grey hair. No clothing descript ion was obtained other than he was seen carrying a black packsack and was wearing a black ball cap. OSTLING has a valid driver’s license but does not own a car. On Sunday, April 20, 2014 the Abbotsford Police Department were contacted regarding 44 year old Lionel Kelly VEDRES who was missing from his current residence. According to the complainant, VEDRES was last seen on the afternoon of Saturday, April 19, 2014. Investigators with the APD have contacted friends and family in an attempt to locate VEDRES but have been unsuccessful to this point. Lionel VEDRES is 5’11” and 160 pounds. He has brown hair and blue eyes. (See photo) He was last observed wearing a black jacket and blue jeans Anyone with information about Lionel VEDRES should call the Abbotsford Police Department at 604-859-5225 or text APD at 222973 (abbypd). In October of 2013 Andrew, a long time lower mainland resident moved to the Stewart Area to pursue a career in the logging industry. The last confirmed sighting of MUNRO was in Stewart on November 15th, 2013. MUNRO is described as a 43 year old, Caucasian man , 6 feet 2 inches tall, 180 pounds with a slender build. He has green eyes and brown hair. MUNRO may be clean shaven or have a goatee. Police and family members are concerned for MUNRO’s personal health as he is on prescribed medication which must be taken daily. 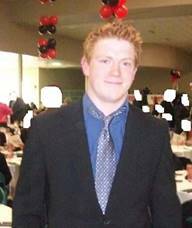 MUNRO has ties to the lower mainland but was located in Washington State when he went missing on a previous occasion. The Comox Valley RCMP are requesting the public's assistance in locating Jonathan Balazs FEJES. 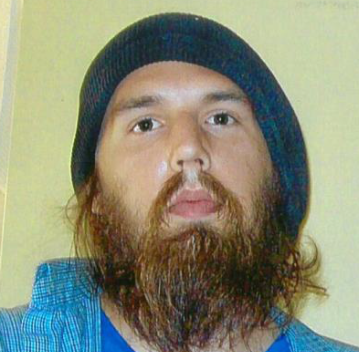 FEJES left his residence to go for a walk on April 2, 2014 and has not returned. The last confirmed sighting of FEJES was May 2, 2014 in Campbell River. FEJES was wearing white tennis shoes, black pants, black jacket with a gray and blue hoody when he departed his residence on April 2. Anyone seeing FEJES or knowing of his whereabouts is requested to contact the Comox Valley RCMP at 250-338-1321, their local RCMP Detachment or their local Police Department. On May 14, 2014 at 1730 hours, while police and DFO were conducting patrols on the Skeena river and in the air, the Prince Rupert RCMP received a call from a local boater who advised he had located a Zoom 230 boat in the Ecstall River on Monday, May 12, 2014. The boat has been confirmed by serial number, as the one purchased by Mr. Knight. The boat was found right side up with a paddle, floor pump and the carrying case inside. Police believe KNIGHT made it to shore, unloaded his gear but did not secure his boat to shore, causing it to slip away on a high tide. There were no bow and/or stern lines attached to the boat. A search along the Skeena River will be continued on this date by Terrace Ground Search & Rescue (with their jet boats) and by RCMP Marine Section. On May 8, 2014 Prince Rupert RCMP received a report of a missing person. On May 7, 2014 Jonathan Knight was to pick up a friend from their work at 10:00 PM, but never showed. He was last seen at 2:45 Pm that day. 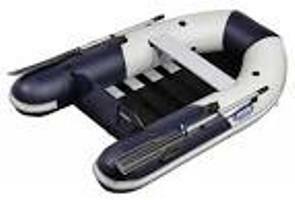 Investigation revealed that Knight had purchased a small 7 foot Zodiac style inflatable boat and had planned on attending a cabin in the Khatada Lake / Davis Lake area. To date, a search of the intended destination has met with negative results and Knight is still missing. Jonathan Knight is a 24 year old white male, 5'11" in height, 204 lbs with green eyes, brown hair, moustache and goatee. A Dodge Durango that Knight travelled in that day was located abandoned at Telegraph Point, which is 62 Kms East of Prince Rupert. The Prince Rupert RCMP are requesting the public’s assistance in locating Mr. Knight. If you have any knowledge of Jonathan Knight’s disappearance or his current whereabouts, please call 911 or the local Detachment at 250-627-0700. The Comox Valley RCMP are still actively searching for any information on the whereabouts of a missing Comox Valley woman. Extensive inquiries to date have been unsuccessful in locating 27 year old Julia STROBACH. The police are again reaching out to the public in the hopes that someone has seen this woman or have information about her whereabouts and have not called police to report this information. 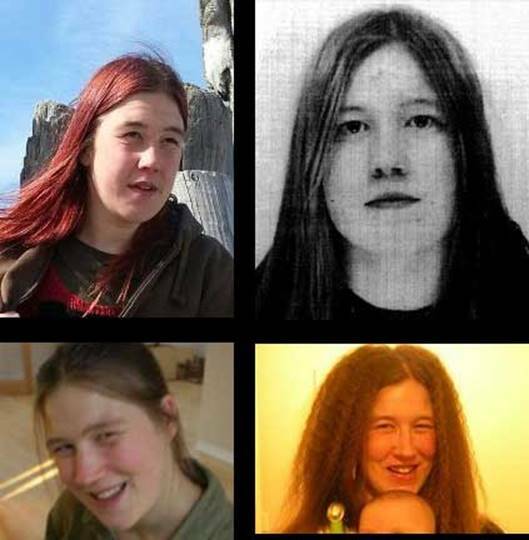 Julia was last seen in the Braidwood road area in Courtenay and has not been heard from or seen since October 31st, 2013. Police have a heightened concern for her safety due to the fact that she has been missing for such a long period. If you have information please call the Comox Valley RCMP at 250-338-1321 or you can call Crime Stoppers at 1-800-222-8477. Yukon RCMP seeking assistance from the public in locating a missing male. 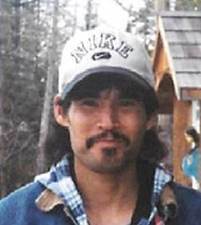 Watson Lake RCMP is looking for any information that will help locate a 43-year-old Liard First Nation male reported missing by his family. 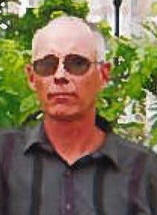 Gregory Hrenyk was last seen in Watson Lake in approximately October 2009, hitchhiking south on the Alaska Highway. He had stated that he was leaving town to visit some friends. Mr. Hrenyk has not had any contact with his family since that time. 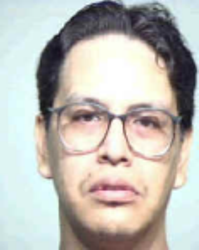 He is described as approximately 5’3 tall, 119 lbs with black hair and brown eyes. Gregory Hrenyk may also go by the names: Gregg Hrenyk, Gregg Caesar, and Gregory Caesar. He is believed to have spent time in the Lower Mainland of British Columbia in the past, specifically in the downtown east side of Vancouver. If you have any information regarding the whereabouts of Mr. Hrenyk or if you have had any interaction with him since 2009, please contact the Watson Lake RCMP Detachment at (867) 536-2677 or (867) 536-5555. If you are concerned that someone has gone missing, please contact your local RCMP Detachment as soon as possible. There is no waiting period to report a missing person. Police also invite the public to check out Canada’s missing persons website at www.canadasmissing.ca for information on other reported missing persons. Qiru Chen has been missing since last August. Richmond RCMP seeks the public’s help to locate missing Chinese visitor. 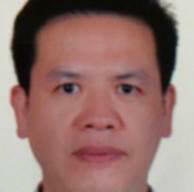 In August, 46 year old Qiru Chen disappeared from Vancouver International Airport after arriving from China. He left behind his wife who has since returned home and does not know of his whereabouts. At this time Richmond RCMP have exhausted all means of locating Chen and now seek the public’s help in an attempt to find him. 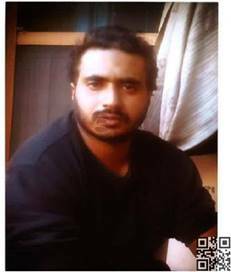 Police don’t believe he has come to any harm however attempts to reach him have failed and his family has not heard from him since August 5, 2013. 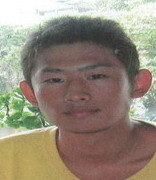 RCMP are asking for the public’s help to find a missing Chinese visitor. Forty-six-year-old Qiru Chen disappeared from the Vancouver International Airport on August 5, 2013, after arriving from China. Police say he left behind his wife who has since returned home and does not know where he may have gone. Cpl. Stephanie Ashton says in cases like these police have a process to look for a missing person before putting out a notice to the public, so that is why they are just issuing a missing person’s report now. “At this point we feel that we have exhausted all options,” she says. Police have also tried to contact Chen on his cell phone, but he has not answered. “He has also made no contact with his family in China,” says Ashton. Police do not believe he has come to any harm, however they would like to find him. Anyone with information about this Chen can contact Richmond RCMP at 604-278-1212 or Crimestoppers at 1-800-222-8477. 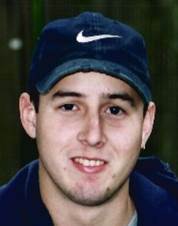 Prince George, B.C.- There is a glimmer of hope in the search for Lucas Degerness who has been missing since June of 2007. In June 2007, after a meeting at his school with his mom and vice-principal, then 14-year-old Lucas spent the night at a friend’s place before disappearing the following day. He was thought to be carrying a large camouflage backpack. His family has not seen him since that day seven years ago. Lucas’ 21st birthday was this January, another milestone his mom, Gina Degerness, marked without her son. Lucas has brown eyes and at the time of his disappearance he had brown hair, a medium build and was 5’8” tall. Prince George RCMP media Liaison Corporal Craig Douglass says the RCMP are aware of this latest development “The investigation into the disappearance of Lucas Degerness remains a priority, if there is anyone who has information about Lucas, they are asked to get in touch with the RCMP.” Information can be given to police directly or by calling Crime Stoppers at 1(800)222-8477, online at www.pgcrimestoppers.bc.ca or Text-A-Tip to CRIMES (274637) using keyword "pgtips". You may also contact MissingKids.ca at 1-866-KID-TIPS (543-8477) .Tips can also be submitted online at missingkids.ca. In the early morning hours of Thursday April 10, 2008, 30 year old Michael Scullion of Chilliwack was last seen outside the Harrison Crossroads Inn located at the 5900 block of the Lougheed Highway in Agassiz, British Columbia. Later that same day, Michael failed to show up for work or pick up his daughter and his family reported him missing the following day. A missing person’s investigation began by the Agassiz RCMP General Investigation Section and within a few days, investigators determined Michael’s disappearance was likely as the result of foul play. 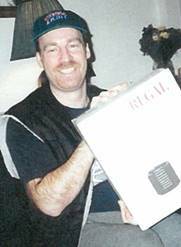 On April 15, 2008 the Integrated Homicide Investigation Team took conduct of the investigation and worked with the Agassiz RCMP to determine the circumstances of Michael Scullion’s disappearance. 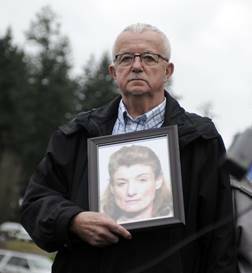 In March 2012 the IHIT Cold Case Team took conduct of the investigation and on March 7, 2014, nearly six years after Michael went missing; 45 year old Richard MacInnes of Rosedale, British Columbia was arrested and charged. Mr. MacInnes is charged with the 2nd degree murder of Michael Scullion and also with indignity to human remains. Mr. MacInnes is making his first court appearance today, March 10, 2014 in the Chilliwack Provincial Court. Michael's body has never been recovered. "In this circumstance, our Cold Case investigators were able to obtain sufficient evidence to support that Michael Scullion was no longer alive and there was no other reasonable explanation for him being missing other than him being the victim of a homicide." said Sgt. Adam MacIntosh of IHIT. “I would like to take this opportunity on behalf of my family to say thank-you to the many people who have shown their love, support and understanding to help us deal with this horrible situation. We would also like to give a special thank-you to the RCMP and IHIT for never giving up. 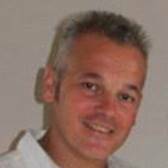 We are very grateful, thank-you.” said Michael Scullion’s father Lou Scullion. Mounties say Fisher walked out of a probation appointment on Jan. 2 and has not been seen since. Fisher is described as: 5’4, 143 pounds, black hair, hazel eyes Mounties say he may have travelled to the Lower Mainland, but this has not been confirmed. However, they are concerned for his wellbeing, and are asking anyone with information to contact the nearest police department. Wes Foulds’ sister Jamie Weinberger, and daughter Sarah Foulds are holding a vigil at Hayward Lake, March 1 marking anniversary of his disappearance. The things that Sarah Foulds misses about her uncle Wes are too many to list. He was the kind of guy who would drop by her house on a whim for a chat and coffee or surprise her kids, who he spoiled rotten. He was the kind of uncle who would drop everything for his niece. “I really miss those random pop-bys,” said Sarah, of Maple Ridge, who shared her uncle’s dreams of opening a home to care for adults with special needs. That dream is on hold, in limbo until her uncle comes back. It has been five years since Wesley Craig Foulds disappeared and his family is determined to keep his memory alive. “All I know is a bunch of people had their hearts ripped out that day and we haven’t got them back” said Fould’s sister and Sarah’s mother Jamie Weinberger. Foulds, 53, left his Abbotsford home – near the McCallum Road Hwy. 1 exit – in his 2007 red Dodge Ram pickup truck for an 11:30 a.m. doctor’s appointment in Burnaby on March 4, 2009. His common-law wife, Shelby Bernard, reported him missing that night, after Foulds failed to show up for his job as a health-care provider in Whonnock. He was the kind of guy who never missed a day of work. The following day, Foulds’ truck, bearing licence plate 0833EH, was found by a B.C. Hydro crew at the Hayward recreation site in Mission. An extensive search of the area was conducted. More than 100 people scoured the thick woods but found no trace of Foulds. Later, DNA samples taken from a small speck of blood found on the driver’s seat proved to be Foulds’. In 2011, a witness told Abbotsford Police she believed she saw Foulds, driving his pickup truck west along Lougheed Highway with someone in the passenger seat on the day he went missing. There have been few leads since. “I know someone out there knows something because people don’t just disappear,” said Weinberger, who is not yet ready to give up her brother for dead. She adds on the morning of the disappearance her brother was making calls, looking to pick up additional evening shifts at work. Those are not the actions of a man who was about to take his own life, or deliberately disappear. Since his disappearance there have been no financial transactions, no contact with people he loved. Though Foulds’ common-law partner believes he is dead, his family is not ready to abandon hope. The last thing Weinberger and her family want is for Foulds to be forgotten amongst the hundreds of missing people in Canada. Weinberger has a thick file on her brother, filled with news articles and research. In her search for answers, she has learned that little attention is paid to missing men. Since 2000, 139 men in B.C. have been reported missing compared to 69 women, said Weinberger, who has been keeping an unofficial tally. 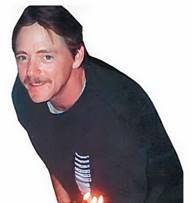 Foulds’ family is organizing a vigil at Hayward Lake on March 1 at 5 p.m. to mark the fifth year of his disappearance. For info, see http://tinyurl.com/kokq6hr. “You always have hope,” said Weinberger. Abbotsford Police have conducted a “thorough” and “diligent” investigation but have been stymied about what happened to Foulds. Investigators still encourage anyone with information, no matter how small, to come forward. “This is still an active investigation for APD,” said Const. Ian MacDonald, adding that police plan on issuing another appeal for tips to coincide with the anniversary of Foulds’ disappearance. Anyone with information is asked to call Abbotsford Police at 604-859-5225 or Crime Stoppers at 1-800-222-8477. 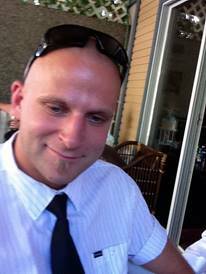 The Burnaby RCMP is seeking the public’s assistance in locating Adam Richard Myers. 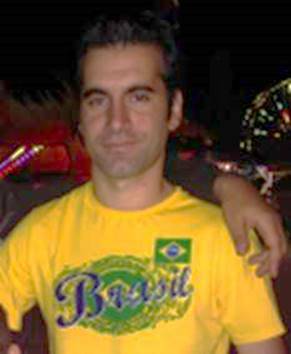 He was last seen on October 4, 2010 near the Metrotown area and has not been heard from since. His family and friends are concerned for his well being. He is a 25 year old Caucasion man who is described as being 5’8, 190 lbs with brown hair and eyes. He was last seen wearing white runners, blue jeans, and a black winter jacket. If you have information about his whereabouts please contact Constable Adriana Maughan at (604 )294 7922. Roy Henderson has been missing for 10 years. 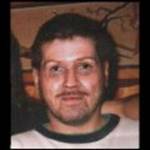 New Westminster resident Roy Henderson has been missing for 10 years. The 39-year-old was last seen in early 2004 and police are renewing their call for any information on his whereabouts. Henderson’s family believe he was suffering from a mental illness in conjunction with substance abuse. Henderson is described as Caucasian, six feet tall, 220 pounds with green eyes and brown hair. Anyone with information about Henderson’s whereabouts is asked to call the NWPD at 604-525-5411 and quote file No. 2010-15100. Anyone wishing to provide information anonymously can call Crime Stoppers at 1-800-222-8477 (TIPS). 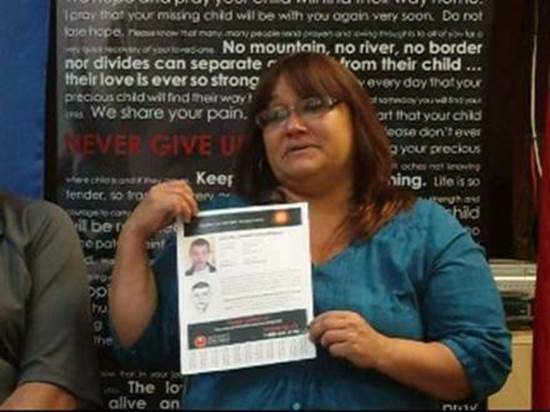 Gina Degerness holds the missing person flyer about her son Lucas who has been missing since June 7th, 2007 Prince George, B.C.- It has been five years since Lucas Degerness was last seen in Prince George. Today, his mother, Gina Degerness, made a tearful plea for anyone who knows anything about where Lucas may be, to come forward and share that information. Missing Children Society of Canada Investigator Ted Davis says this has been a baffling case, as it doesn’t have the typical elements seen in a disappearance. He has been working on this case for the MCSC since Lucas was first reported missing “I will work it to the end” said Davis. 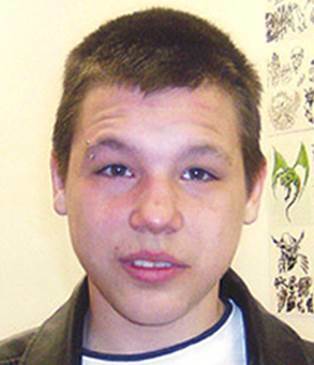 Prince George, B.C.- It has been five years since Lucas Degerness was last seen in Prince George. Lucas and his mother had attended a meeting with the Vice Principal of Prince George Secondary School on June 6th, 2007. Lucas was 14 at the time, and the subject of the meeting was his scholastic performance. He was in danger of failing one class, but the discussion ended with Lucas agreeing to pick up a course in summer school. The meeting over, Lucas left the office to return to class while his mother stayed behind to chat a little longer with the Vice Principal. Lucas never returned to class and while investigators know he spent that night at a friends place, he never went home, and hasn’t been seen since. Text-A-Tip to 274637 (CRIMES) using keyword "pgtips", or anonymously contact the Missing Children Society of Canada at 1-800-661-6160 or email a tip to tips@mcsc.ca. 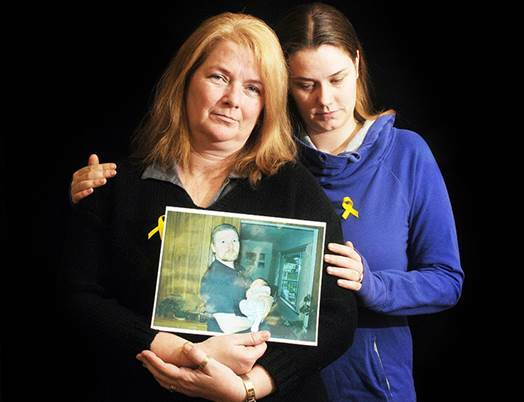 On June 7th, 2012 the Prince George RCMP in partnership with the Missing Children Society of Canada, will hold a media conference regarding the ongoing investigation into the disappearance of 14 year old Lucas James Degerness. Prince George RCMP were working in partnership with Missing Children Society of Canada over the weekend in relation to a missing persons investigation. The Missing Children Society of Canada (MCSC) spear-headed a search of the Hudson's Bay slough in the organization's ongoing investigation into the disappearance of Prince George teen, Lucas Degerness. Lucas went missing on June 7, 2007 and at that time was living only a short distance from the slough area. MCSC's search was prompted by recently received information on Luc's suspicious disappearance. MCSC's coordinated effort brought together several search partners including the Prince George RCMP. One search partner used specialized sonar and radar equipment which allowed trained professionals to accomplish a detailed search of the slough and surrounding area. “As a result of the search, a key area of question in Lucas’ case was thoroughly investigated,” explained Maria Sbert, Director of MCSC’s Investigation Unit. “The findings have been turned over to the RCMP for processing”. “The RCMP have a great partnership with Missing Children Society of Canada and if information is provided by any support agencies we will be actively involved in order to investigate or follow up with any leads that could bring light to an investigation.” Stated Cst. Lesley Smith, Prince George Media Relations Officer. MCSC is a non-profit organization dedicated to the active search for abducted and missing children. If anyone has information in regards to the disappearance of Lucas Degerness or any other missing children case, please contact MCSC confidentially at 1-800-661-6160 toll free or tips@mcsc.ca. MCSC investigator Dan Picken can be reached directly at 1-800-661-6160 EXT 229 OR contact Prince George RCMP at (250) 561-3300. It has been three years this week since Gina Degerness last saw her son Luke. He was 14 at the time. “At first the police considered him a missing child who ran away; then they considered him a runaway who didn’t want to be found; now I don’t know what they are thinking,” said Gina Degerness. She had been a concerned mother for a long time before he disappeared, ever since she discovered an e-mail while they were living in Edmonton. The email was from Luke asking a friend how he could join up with a notorious Alberta street gang. He was immediately sent to live with relations in Prince George, with Gina and a newborn baby arrivng about a month later. Since Degerness disappeared, his little sister has had three birthdays, with a fourth coming up in July. His big sister had a baby. His father had a heart attack but recovered and has a new girlfriend. His brother got married. His uncle has a new baby. A different uncle discovered he had a 13-year-old son. And Luke would have celebrated his 17th birthday on Jan. 29. “He has just missed so much,” said Gina Degerness. She fears that a lot of missing persons websites are missing a lot too. She constantly checks to see where her son’s profile is listed. She is usually disheartened at the lack of attention the case gets. 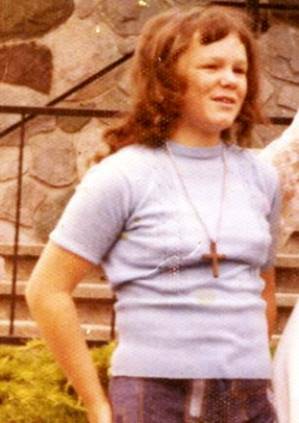 The only group to take the case seriously for all this time was the Missing Children Society of Canada, she said, who have had private investigators looking into leads but, like the police, have turned up no sure sign of the boy. Gina Degerness is applying for the RCMP’s age progression program, which creates a simulated image of what a person would possibly look like over a span of time. His mom insists that no matter what he has done, she still wants to hear from her son. With no evidence either way, she is compelled to consider that he was the victim of foul play, but also that he might have run away. No matter what the circumstances, she said, she wants her son home. In the meantime she waits, and she tries to urge the investigation on.